Join us in a day of celebration as we support all the family firms that are associated with the world of pizza! Seeking to raise awareness of the role of family firms across the UK we are joining the campaign to celebrate all those family firms that have a role to play in the creation of the fabulous pizza - from those growing the toppings to those selling the final product! 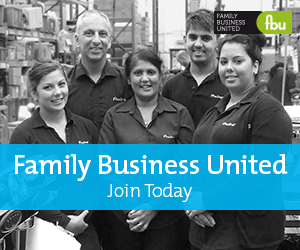 Please do get in touch with paul@familybusinessunited.co.uk if you have an interest in the day or we can include and promote a feature piece on your family firm. We look forward to celebrating National Pizza Day 2019!